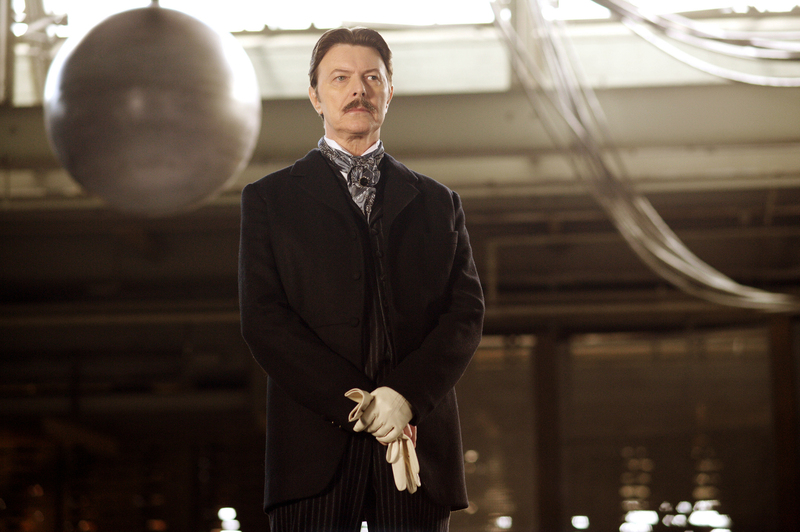 David Bowie’s character was the only real magician in “The Prestige.” Christian Bale and Hugh Jackman’s top hatted rivals were conjurers of cheap tricks, masters of picking locks and applying spirit gum, but Bowie’s Nikola Tesla built machines that could do the impossible. It was Bowie’s last major movie role, and while other actors could have given us Tesla, he gave us a version that offered a modern context for understanding a magic man ahead of his own time. It’s not right to say that Bowie was “perfect” for the role, but he was singular as Tesla, inescapably imbuing the role with everything we know and don’t know and can’t comprehend about Bowie himself. An enigma portraying an enigma. The comfortably numb scientist also made a perfect bookend for Bowie’s film career, which began in the Bowiest way possible: Playing a space alien traveling through Nicolas Roeg’s nightmarish, maddening, sexualized vision of our world in “The Man Who Fell To Earth.” Unlike most musician forays into filmmaking which cast them in generic hero roles to capitalize nakedly on their fame — and even separate from the Monkees’ wild swing against their image in “Head” — Bowie’s leap into acting was a perfect blend of form, function and persona. Ziggy Stardust was playing an extraterrestrial. Yet, fittingly, Bowie had already shape-shifted away from the Stardust persona by the time he made “The Man Who Fell To Earth.” He’d moved on to an era of singing “Golden Years” on “Soul Train,” so his turn as space oddity Thomas Jerome Newton isn’t glitter-bombed and gloriously queer; it’s as a distant, genius inventor whose abnormality is to be expected (think Elon Musk with a shock of slicked-back red hair and cocaine-withered arms). He might just as easily be an eccentric Brit as an alien visiting earth in an attempt to save his home planet — which can also be safely said of Bowie. He appeared in only a handful of movies in the course of a decade and still avoided easy labels going into the crazed wonderment of “Labyrinth” in 1986. 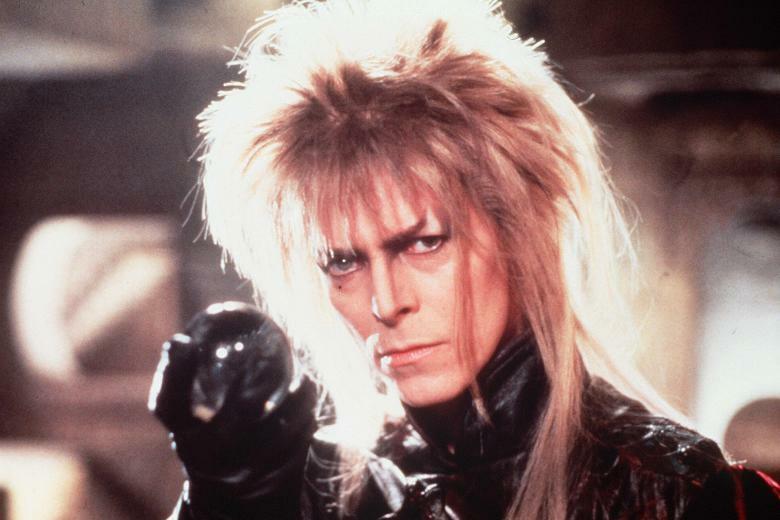 His turn as the cod piece-thrusting Goblin King was the introduction to Bowie for an entire generation of ’80s kids. He was a sorcerer who bedevils a young Jennifer Connelly, singing gleefully amidst tiny, grotesque Jim Henson creations, and reveling as happily in the absurdity of the fantasy as he does in the spandex. The most charismatic child kidnapper ever put to film. It’s a children’s movie with silly songs and eye glitter, and Bowie brings a surprising sense of gravitas to a character who’s really a disco ball come to life. This happens, more or less, simply by Bowie being Bowie. It seems perfectly natural that he would lord over a dream-like ballroom and jump around with goblins in his thrown room. Just another typical Tuesday for the man who sold the world. 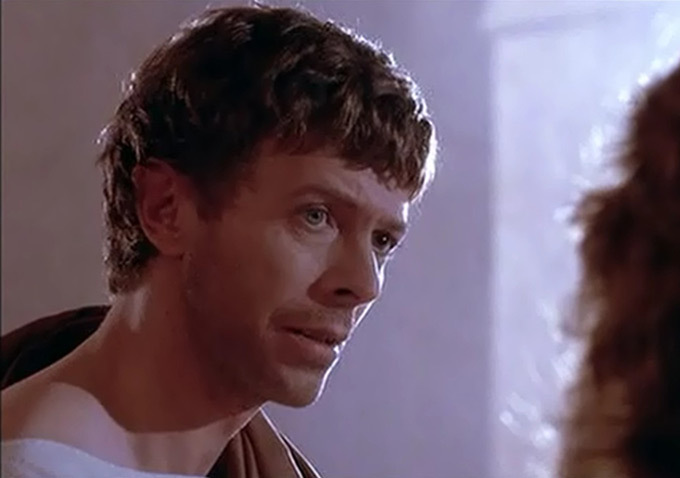 Looking miles away from the teased-out, eye-shadowed horror of “Labyrinth,” Bowie plays Pilate as a subdued diplomat trying to find logical common ground with a man who claims that earth isn’t his home. Knowing Bowie’s persona, it’s either ironic or appropriate depending on how you look. The dignified role — which might have otherwise been reserved for a Ben Kingsley or a Gary Oldman — cemented “playing against type” as Bowie’s type. He portrayed another real-life person when he zoomed through “Basquiat” as Andy Warhol — acting mostly like Bowie in a white mop top wig and beautifully mirroring his brief, brilliant moment playing himself in “Zoolander.” By the aughts, he was an elder statesman and style icon who absorbed all of the attention on screen when he arrived to judge a runway walk-off between two idiots. It’s, again, impossibly sensical that Bowie is both the suave, ultimate judge of chic and game to cringe when Ben Stiller yanks his underwear up into his undercarriage. As brief as it is, the scene offers comedic perfection by inviting a God down to earth to witness ridiculousness and declare a winner with a straight face. Which leads us back to “The Prestige.” Playing a magician one last time, he appears on screen as both dignified and inhuman, breathing in a rarified air that’s been splashed with electricity and living on the top of a hillside away from the townsfolk who could take up pitchforks and torches at any moment. He’s changing the world, and it’s frightening. Just when a desperate Hugh Jackman needs him most, he’s moved on — a soft-spoken guru who may not be in the mountain cave you risked your life to get to. A being who can visit and talk with us, but who can never stay too long in the realm of mortals. There’s an obviously good reason why Bowie played inventors and creatives so often. It allowed him a large space to pull off his chameleonic act and imbued him with the fantastical powers we already assumed he had in real life. His death is like losing an entire element from the periodic table, and the movies he leaves behind echo the life of a magic madman who cannot be reduced to one word (or one million), but who always appeared to us as being beyond this world.